In 2005, Pastor Steve Ferber and Beth Torgerson travelled to Usma, Latvia to begin a 5-year partnership between Living Branch and Usma Lutheran parish, a church planted in 1997 by Pastor Ugis Bruklene and his wife, Harina. Teams from both congregations travelled overseas for several mission trips, encouraging one another and offering ministry ideas and support. 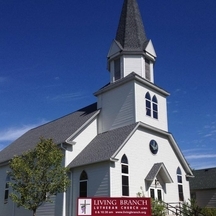 In 2011 Living Branch formed a new partnership, with Old St. Gertrude's Lutheran Church in Riga, the capital city of Latvia. Since then, Pastor Rinalds Grants and members of his congregation have travelled to North Branch on several occasions; Living Branch members have also visited Riga to encourage and be encouraged by their Latvian bothers and sisters in Christ. This overseas partnership has expanded the mission world and outreach of Living Branch! We look for continued growth of friendship between us and our Latvian friends. We also look to expand our mission presence in the world. Praise God! 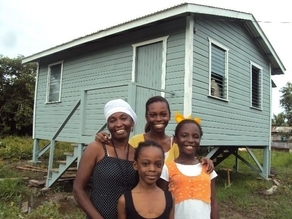 By the end of 2012, Living Branch raised nearly $4,000, enough to build a house for a homeless family in Haiti, the western hemisphere's poorest nation. This amount provided a family in need with a new, safe and secure house with sanitation, rice and beans for one year, a small-business project to help provide a source of income, school supplies for two children (including books and uniforms), along with clothing and shoes. Living Branch worked through an international organization called Food For The Poor, a Christian group with deep roots in the Caribbean. They are able to respond quickly to disasters in the region, including the horrific earthquake that devastated Haiti in 2010.